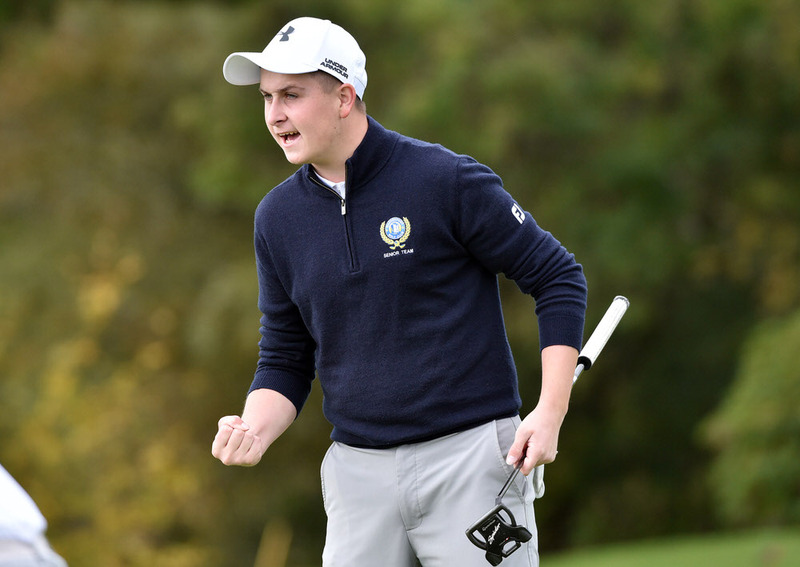 Warrenpoint had a three-hole victory against Mitchelstown in the final with Bailey Wilson and Jack Murtagh leading from the front for the Ulster side, taking the top match by four holes. Mitchelstown fought back in the second match but a one-hole win for Tommy Maher and Adam Luddy was not enough to turn the tie. Warrenpoint had to go to the 19th to beat Waterford in the semi-finals with Rian Carvill, nephew of former professional Jim, and Dylan Medicott prevailing when their opponents found trouble off the tee. Mitchelstown booked their place in the decider with a four-hole win over Co Sligo with Sean Leonard and Tristan Nolan taking the top match by one hole before Maher and Luddy sealed the tie with a three-hole success. It was not to be for the Munster side though, who had to settle for second as Warrenpoint prevailed in the final. Tullamore took the inaugural Irish Boys Inter-Club Championship when they racked up 110 points, a combination of their three best cards, to finish three clear of Carrickfergus. Daniel Fox was the top scorer for Tullamore with 39 while Mark Hunter of Carrickfergus had the best card of the day, finishing with 40 points. Tuam were third on 105 - Oisin Roche their leading player with 39 - and Ballybunion finished with 101. James O'Callaghan was best for Ballybunion with 37. The event for Under-18 Boys was introduced for players that did not hold a handicap below 5.5 on 1 January in the year with the maximum playing handicap of 24. Rory Lehan (10) & Ed Fitzpatrick (12) lost to Bailey Wilson (5) & Jack Murtagh (7) 1 hole; Alex Byrne (9) & Jack Keane (7) beat Rian Carvill (2) & Dylan Medlicott (9) 1 hole.